UPDATE: Congrats to Laura in Glendale, CA! 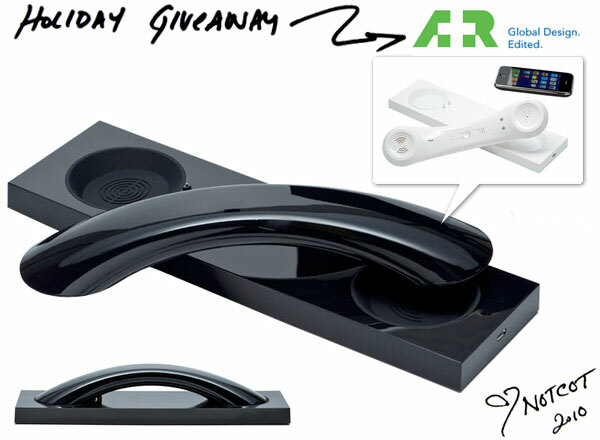 NOTCOT Holiday Giveaway #24 is here ~ and today our friends from A+R are giving one lucky reader: David Turpin & Native Union’s Moshi Moshi MM03 Bluetooth Cellphone + VOIP Handset. I can’t even tell you how incredible this feels in your hand… and the subtle design details of how nicely the phone sets down with the rubber in the base… swoon - additionally it even has volume control on the handset and a choice of 4 ringtones! UPDATE: Congrats to Rich in San Diego, CA! 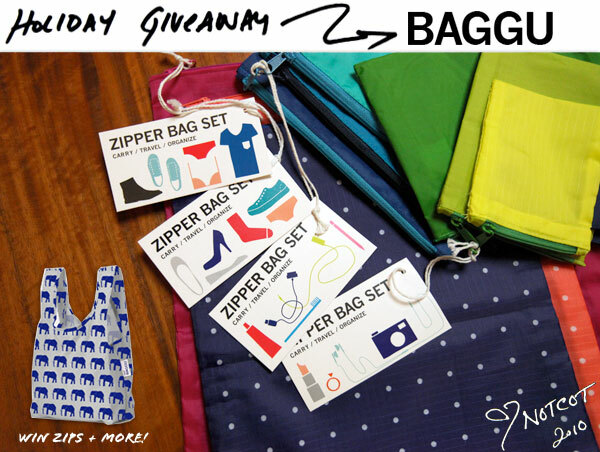 NOTCOT Holiday Giveaway #23 is here ~ and today our friends from Baggu are giving one lucky reader: a Baby Baggu, a Baggu X3, a Big Baggu, and one each of the S M L XL zips! Quite the super pack of baggu goodness ~ and you can see close ups of exactly what is in this bundle on the next page… as well as a special coupon just for today! Beautiful graphic design on the labels for the new zip pouches! 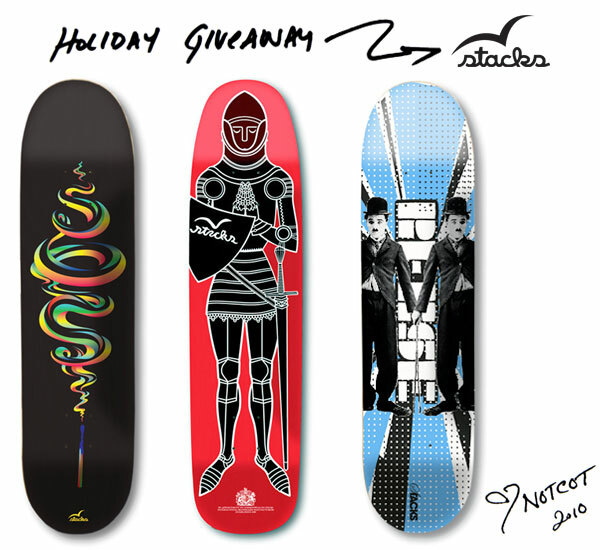 For a chance to win, leave a comment by midnight on Dec 20th (PST) ~ sharing what you’d stash in your baggus! UPDATE: Congrats to Shawn in Seattle, WA! 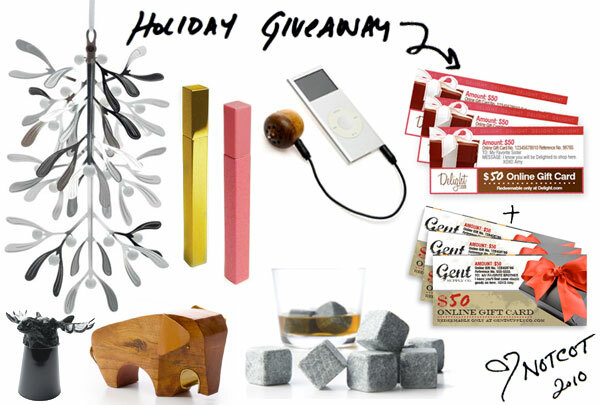 NOTCOT Holiday Giveaway #22 is here ~ and today our friends from Nau are giving one lucky reader: a $500 Gift Card! What you buy with that is up to you… but a few of my favorites are on the next page if you need ideas! (Also coupon on the next page!) And given that winter weather is upon us ~ i’m sure you could probably use a little update to keep you warm and dry! 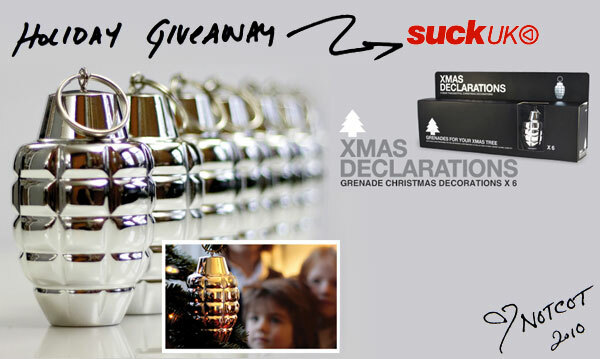 For a chance to win, leave a comment by midnight on Dec 19th (PST) ~ sharing something on your life list (which should really be your 2011 list!) - something you simply must do in your lifetime! UPDATE: Congrats to Adam in Cincinnati, OH! 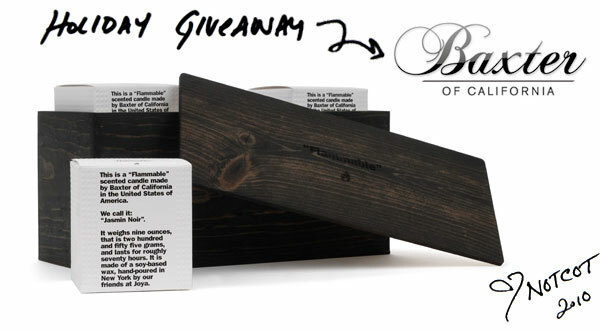 NOTCOT Holiday Giveaway #21 is here ~ and today our friends from Baxter of California are giving one lucky reader: a “Flammable” Wood Gift Box! Baxter of California is all about refined men’s grooming, and pulls it off with fun, beautifully packaged style! Also, the candles.. when done… can be used as drinking glasses…These candles lean a bit manlier making them perfect for anyone! 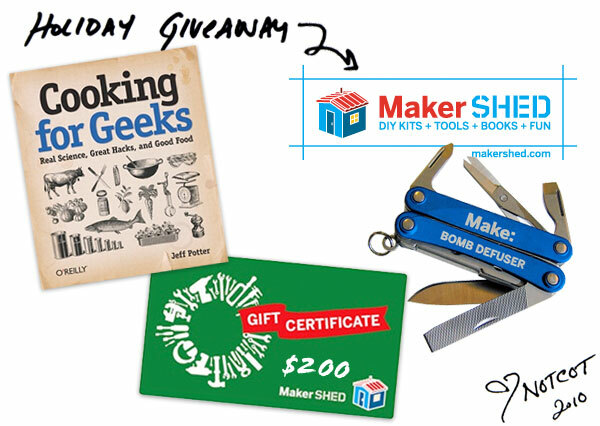 For a chance to win, leave a comment by midnight on Dec 18th (PST) ~ sharing something that has inspired you today! And as usual, we’ll pick a commenter randomly (of those who actually answer the prompt!) and email them! UPDATE: Congrats to Katie in Sydney! NOTCOT Holiday Giveaway #16 is here ~ and today our friends from Fitzsu are giving one lucky reader: a Boomerang Wok and an Alea 16 pc. Stone Trivet! Though this wok and playfully unexpected trivet set fit perfectly with our Kitchen Theme today, don’t forget to check out all the other amazing designer goodies for just about anyone in your life over at Fitzsu too! 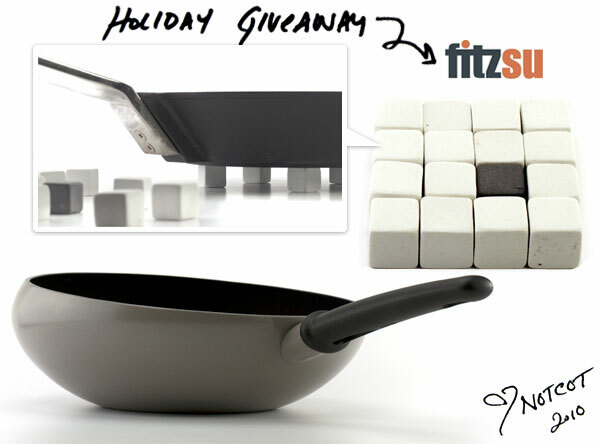 For a chance to win, leave a comment by midnight on Dec 13th (PST) ~ sharing what you imagine making in this magical WOK! 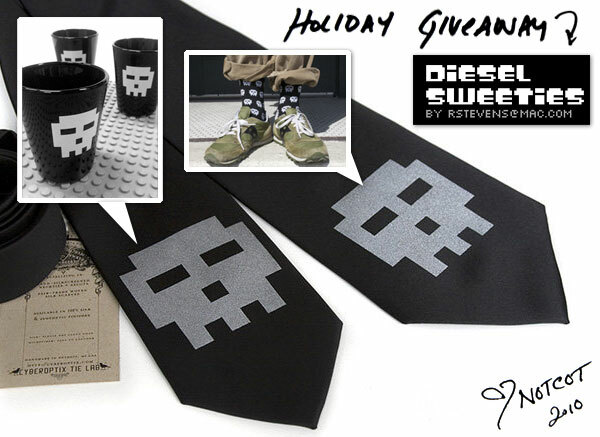 Holiday Giveaway #15: Dead Zebra Inc.
UPDATE: Wow, these guys really went all around the world! Congrats to Ken in Seattle, WA, Maria in Doral, FL, Tara in Seattle, WA, Iva in Slovenia, Antoana in Kent, UK, Jennifer in Vienna, VA, Gabriele in Richmond, Canada, Eugene in San Francisco, CA, Shane in Cedar Rapids, IA, and Pei-Yun in Singapore. 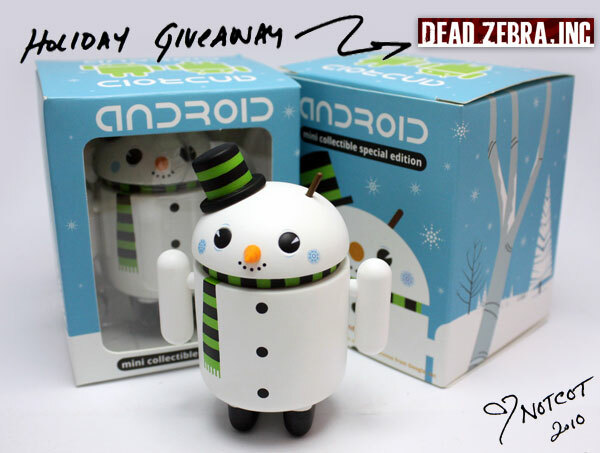 NOTCOT Holiday Giveaway #15 is here ~ and today our friends from Dead Zebra Inc. are giving 10 lucky readers: a Special Limited Edition Holiday Android! 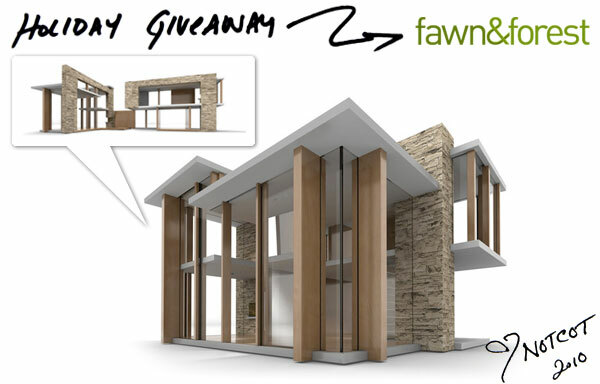 I couldn’t think of a more special giveaway to do on my birthday for you guys! It’s absolutely adorable! Snowdroid? See a few more peeks of him on the next page! For a chance to win, leave a comment by midnight on Dec 12th (PST) ~ sharing something about your love of snow - or android! - or both! UPDATE: Congrats to Mary in SF! For a chance to win, leave a comment by midnight on Dec 11th (PST) ~ sharing something you loved to do as a kid that you still do now! UPDATE: Congrats to Carla in Vancouver, Francis in the Philippines, Mooni in SF, Rafidah in Brunei, David in the Philippines, Dylan in Oklahoma City, Jacob in Birmingham, AL, and Tommy in San Gabriel, CA. 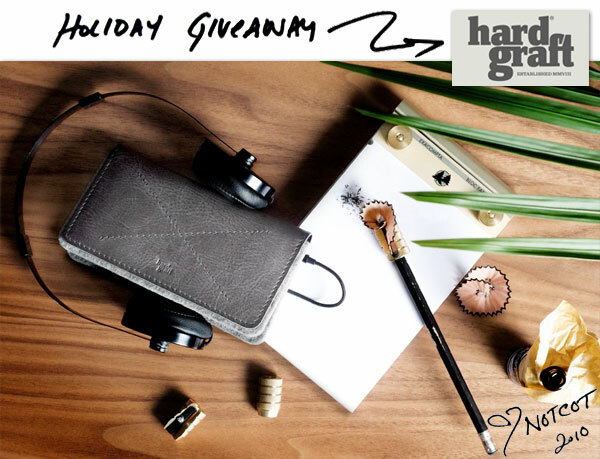 NOTCOT Holiday Giveaway #13 is here ~ and today our friends from Incase are giving 8 lucky winners: a bundle of cases from the Perforated Collection! 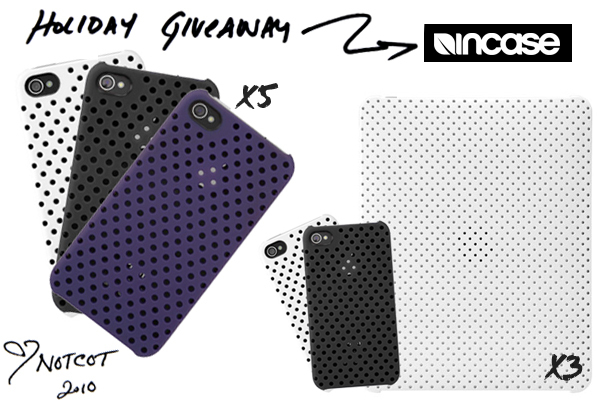 Here’s how it breaks down - we have 5 sets of iPhone 4 Perforated Snap Cases in black, purple, and white - and 3 sets of iPhone 4 Perforated Snap Cases in black and white and an iPad Perforated Snap Case in White. For a chance to win, leave a comment by midnight on Dec 10th (PST) (Totally random, but when i stare at these cases, i can’t help but thinking about panning for gold.) 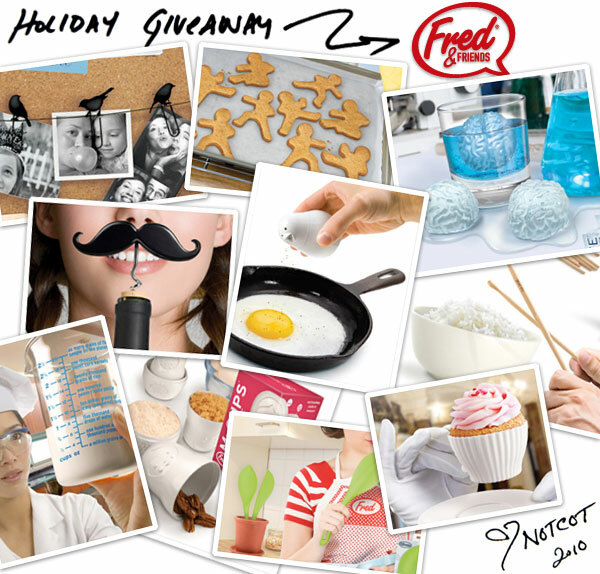 So for a chance to win, share what treasures you hope to sift out of 2011 in the comments! Also #iPad in the comment if you’re an iPadder ~ and i’ll assume you either have an iPhone 4 or want some cases for a friend if you’re entering in general!